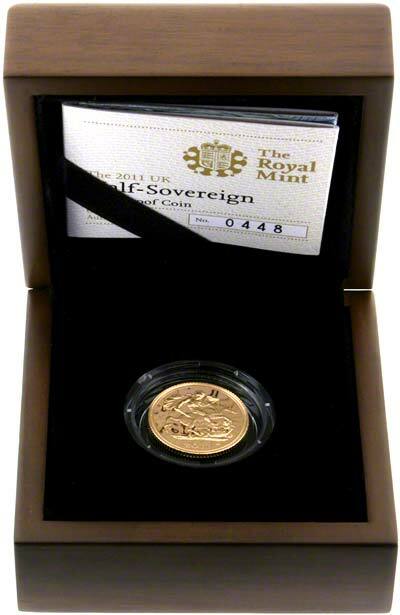 2011 Half Sovereigns - St. George & Dragon - In stock November 2009! 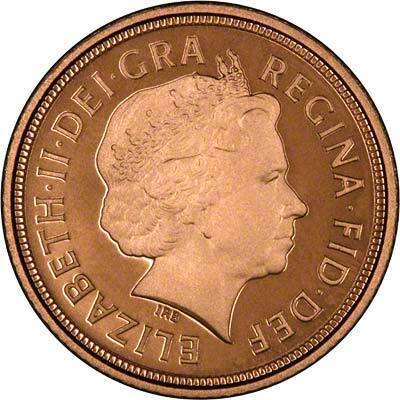 Uncirculated half sovereigns are expected to be in stock in January 2011. After the special one-year-only design in 2005, half sovereigns and sovereigns reverted to the traditional reverse design of St. George slaying the dragon. 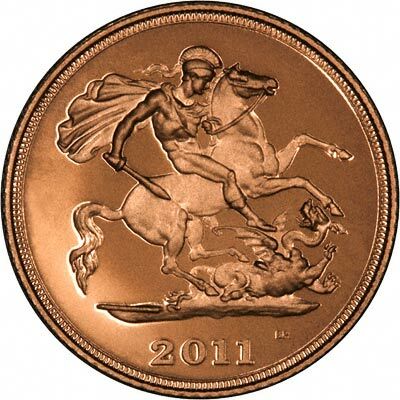 Next year's - 2011 - half sovereigns are expected to have the familiar and historic St. George and Dragon reverse. For 2010, the issue limit is expected to be set at a maximum of 50,000. We expect the 2011 issue limit to be similar. When compared to the Royal Mint price of £210.00 you will make a saving of £69.00 per item when ordering from us. When compared to the Royal Mint price of £250.00 you will make a saving of £39.00 per item when ordering from us.